Mighty Raju Standy Toothbrush affixes to the surface easily. 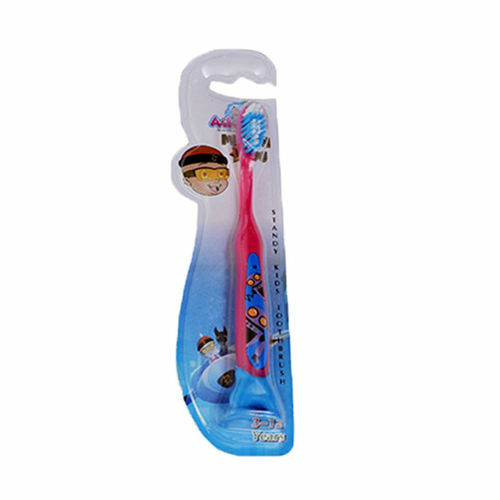 Made with soft bristles, this toothbrush is specially designed for kids' easier and smooth brushing. The attractive design and easy grip handle helps form good habits in kids. Explore the entire range of Teeth & Dental Care available on Nykaa. Shop more Adore products here. Explore the entire range of Teeth & Dental Care available on Nykaa. Shop more Adore products here.You can browse through the complete world of Adore Teeth & Dental Care .